Harrison Lee, winner of the YAGP (Junior Category). Photo: Siggul/Visual Arts Masters. Harrison Lee. Photo: Siggul/Visual Arts Masters. Thomas Dilley. Photo: Siggul/Visual Arts Masters. Bianca Scudamore. Photo: Siggul/Visual Arts Master. Australians made a strong impression during the April 9th Final Round of the prestigious Youth America Grand Prix (YAGP) ballet competition in New York. Held at Lincoln Centre, in the theater that is home to New York City Ballet, this culminating evening of the week-long competition gave dancers as young as 12 years old the chance to appear (and be evaluated) in the same stage that has been graced by numerous ballet luminaries over the past 50 years. This year marked the first time that YAGP's Final Round was an event open to the ticket-buying public, and the theatre was well-filled with vociferous ballet enthusiasts. A total of 60 young dancers performed in Junior (age 12-14) and Senior (15-19) categories. This 15th YAGP – which also includes a Pre-Competitive category for dancers as young as nine, and awards in Ensemble, Pas de Deux categories.) -- brought 440 young dancers, from 31 countries, to the city. The competition awards prestigious and valuable scholarships to its winners. The Junior Women opened the evening, and it was impressive to observe the aplomb with which the tiniest and youngest dancers performed. Among the 20 dancers in the Junior Women category who made it to the final round, Bianca Scudamore, from Classical Coaching Australia, made a sparkling impression in Swanilda's opening solo from Coppelia, with her expansive phrasing, buoyant jump. She delivered vivid and unaffected miming, during the portion of the solo when she attempts, with increasing frustration, to get the attention of the girl (actually a mechanical doll) she spots seated at a window. Harrison, tall and possessed of lovely line, commanded the stage from the moment he appeared. He avoided the forceful roughness with which some men deliver this variation, pushing hard for effects. Instead, he let his clean, dynamic phrasing, and his ability to cover space effortlessly, to give the solo the full measure of its vivid impact. Thomas, a more muscular dancer, displayed more verve and flash, but less finesse, while making quite a strong connection with the audience. When the competition's final results were decided on Thursday, Harrison was the winner of the Youth Grand Prix Award. This goes to the dancer considered the best among all the Junior category competitors, male and female, and is thus the highest award in the Junior category. (The corresponding award for the Senior category went to Cesar Corrales, a Cuban-American member of the American Ballet Theatre Studio Company.) This honour meant that Harrison performed on the April 10th YAGP gala evening, “Stars of Today Meet the Stars of Tomorrow”. He and the other top winners performed their solos during the first half of the program, which culminated in a thrilling and majestic “Grand Defilé” for 325 YAGP competitors. The “Stars of Today” performing in the gala's second half, sometimes in unexpected partnerships, included Daniil Simkin and Misty Copeland of American Ballet Theatre, Matthias Heymann of the Paris Opera Ballet, and an ensemble of ABT members who are YAGP alumni, performing a premiere by company member Gemma Bond. Evan McKie of the Stuttgart Ballet partnered Olga Smirnova, the young Bolshoi sensation, making her New York debut, in the duet from Onegin's final act. The Bolshoi was also represented by its artistic director Sergei Filin, who was among the distinguished panel of YAGP judges. Maintaining an active schedule while still recovering from last year's brutal acid attack, he was acknowledged from the stage and received a hearty ovation. 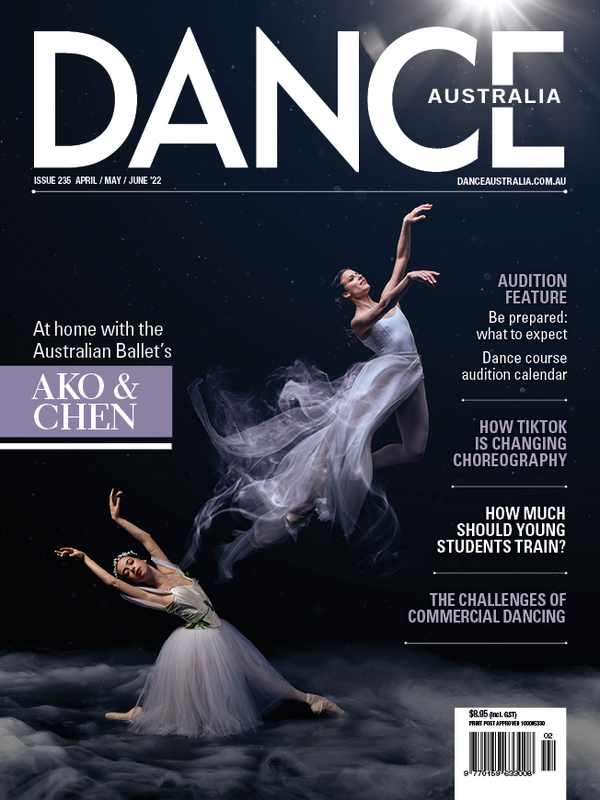 See our full account in the June/July issue of Dance Australia. Top - bottom: Harrison Lee, Bianca Scudamore, Thomas Dilley competing at the YAGP. Photos: Siggul/Visual Arts Masters.